Sway Chicago is one the most respected and sought after Chicago wedding bands and dance bands. 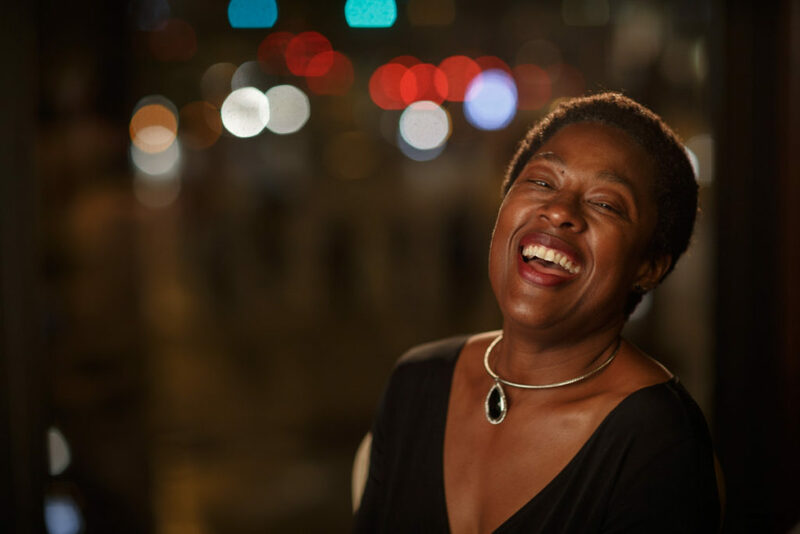 Featuring some of Chicago's top vocalists, Sway Chicago was featured in the 2008 Dennis Quaid movie "The Express," and has been an established presence at Chicago's top corporate and private events. We work very hard to customize every event, so our clients unique personal tastes are evident to their guests throughout every performance. Sway Chicago can vary its size from 7-15 musicians to accommodate different events and budgets and plays a wide variety of music, including Top 40 through the decades, Motown, Classic Rock, R&B, Funk, Disco, Jazz, Swing, Big Band and ethnic music. For special events, Sway can perform everything from smooth ceremony, cocktail and dinner music to pack-the-floor dance music. Owner of Biossat Custom Productions, Steve Biossat got his start as a professional entertainer in the Teen Chorus of the touring Broadway production of Bye Bye Birdie, starring Tommy Tune. 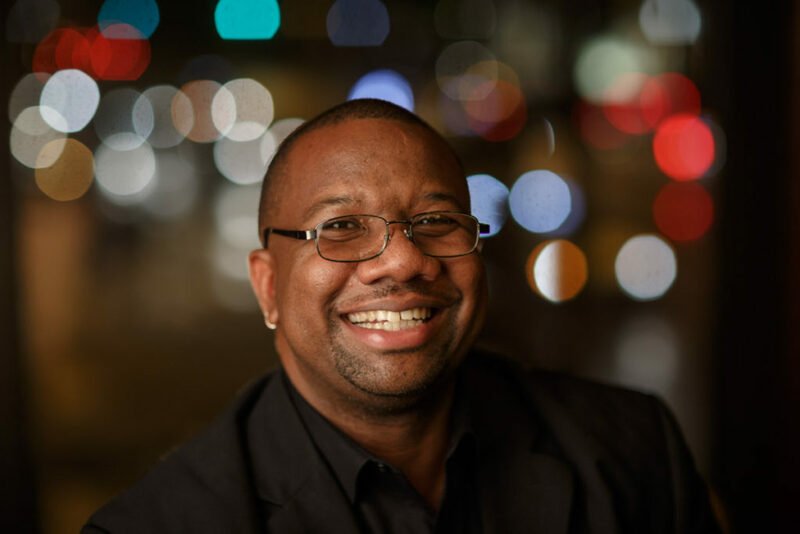 Studying at Western Michigan University helped Steve hone his skills in Harmony singing, as a tenor in one of the most esteemed Jazz choirs in the country. 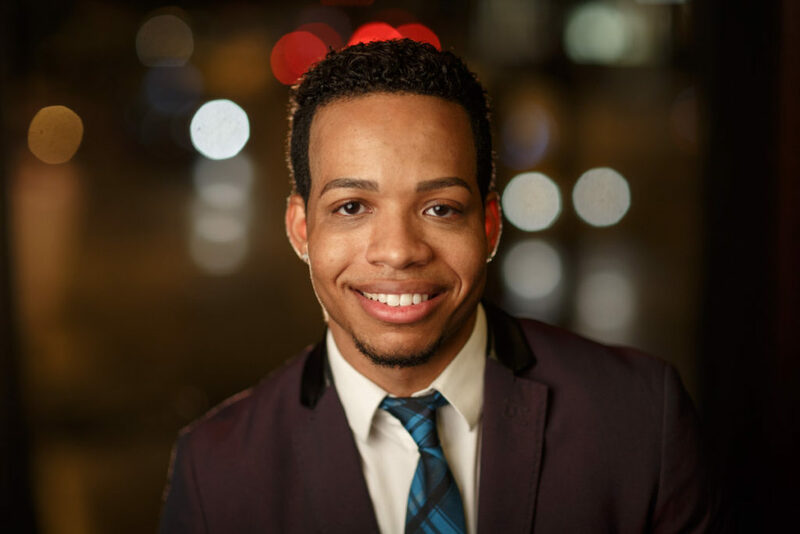 After college, he refined his Jazz vocals by moving back to his family’s native home of New Orleans, and found himself singing in some of the city’s Jazz clubs, learning from some of the best in the world. Then off to Carnival Cruises, and finally Chicago, to tour with the A cappella group, Blind Man’s Bluff. Chicago has brought Steve many opportunities, including recording soundtracks for Universal Pictures, producing musical segments for WGN News, performing as an opening act for The Beach Boys, co-hosting New Year’s Eve with SNL comedian, Joe Piscopo, producing America Can Sing and sharing the stage with many legends, including Chubby Checker, Chuck Berry, Bobby McFerrin and others. 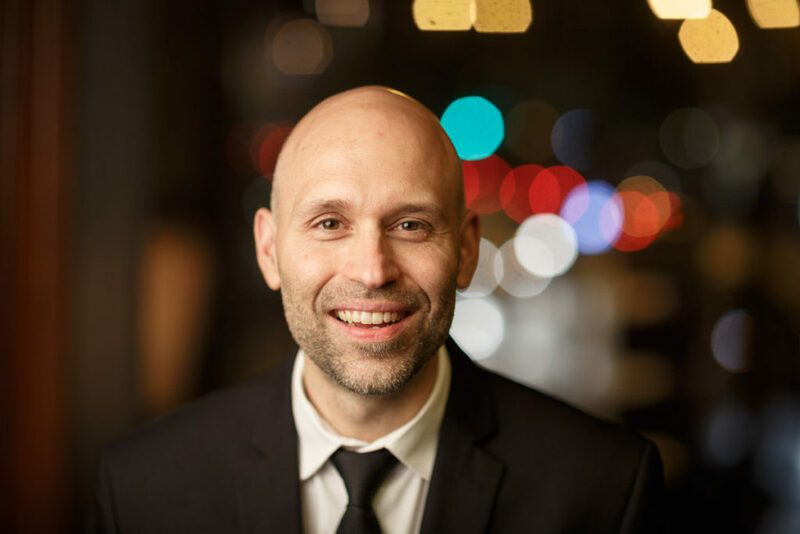 Steve now spends the majority of his time running his company and co-leading his bands, Sway Chicago, Biossat Orchestra and Speakeasy Swing. Leander got his start playing the drums at an early age in church. 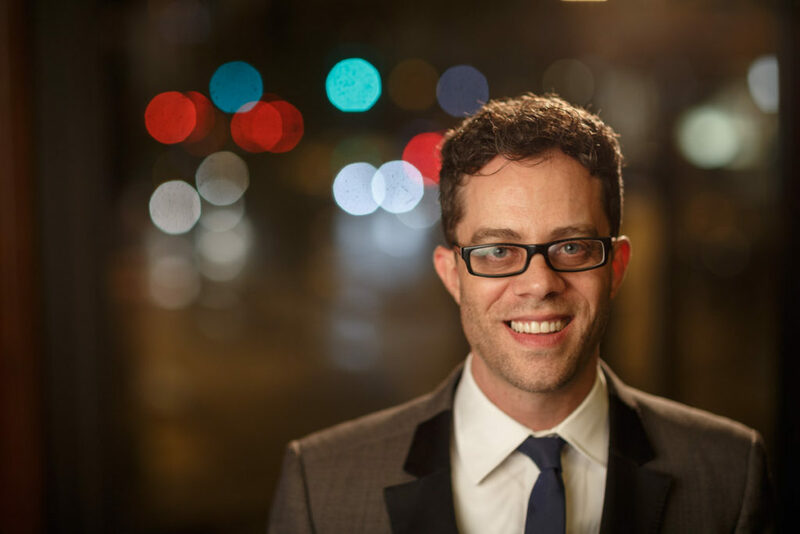 He is an accomplished drummer/percussionist in the Chicago area, where he has performed in such places as the Jay Pritzker Pavilion, Petrillo Music Shell, Chicago Symphony Center, Arie Crown Theater, UIC Pavilion, United Center, Soldiers Field, Toyota Park, Chicago Cultural Center, countless hotels, festivals, studios, and jazz clubs. He has performed for major events such as Taste of Chicago, Milwaukee’s Summerfest, and the Pepsi Gulf Jam in Panama City, Florida. His ability to play diverse genres and styles has made him a very in-demand drummer. Leander is also a band director for the Chicago Public Schools. He credits his success to God and family. Takin' Care of Business –B.T.O. Do you have a request you don’t see here? CLICK HERE to see if we know it. We had Sway play at our wedding and hands down, it was the best decision we could have made. From the first conversation to the last, Steve was very professional and timely in his responses. Not only is he professional, the band is amazing. From the moment the dance floor opened up, we had the whole wedding dancing, even some people who usually don't dance. They are very good at reading the crowd and picking songs people like to dance to. I still, months later, get complements on how great they were and would recommend to anyone!! We absolutely recommend SWAY to anyone in search of a band for their wedding! SWAY was recommended by our wedding planner. We first met Steve and the rest of the band during one of their performances at the Drake and we were sold! Our wedding was only 5 days ago, but we have already received countless compliments about the band. People have actually told us that SWAY was the best part of our wedding. The song selection was excellent - people of all ages were dancing the whole night. Sway shows a willingness to commit fully is essential, especially with music as haughty as this. “Solomon’s Song” could easily fit on a later-period Nick Cave album with its gothic gospel melodies and subject matter: standing before God, waiting to be judged. Call By Night is replete with soaring pronouncements as this, where the stakes are grand and the gestures grander. Known primarily for his guitar work, Miles pivots towards more stoic, piano-centric songs reminiscent of Leonard Cohen. When paired with restraint, such as on the title track, it can lead to stately, elegant results, but at times the bombast can be overbearing. Sway Chicago 100% made our wedding. The dance floor was packed the entire night and everyone raved about how amazing the band was. I love Steve, he worked with me before the wedding to accommodate all my special requests for songs and a singing guitarist during cocktails. Sway was completely worth the money we spent. If you want to have a rockin' awesome wedding, hire this band!! • What makes a "great" band for your wedding? First of all, let me say that there are many many "good" wedding bands in Chicago. Any one of these bands have great musicians and vocalists, that have different levels of versatility, and will sound great! That being said, although they may sound great, it will not make them a "great" band for your wedding. Not to say that the best band for your wedding shouldn’t sound great, because they definitely should. But, that is only one piece of the puzzle. The biggest factor that sets a great band apart, is their ability to entertain you and your guests. If the singers and musicians are not physically engaged with your party, and are simply playing good music, your guests will get bored after a bit. Trust me! However, if the band is playing great music, and everyone on stage is also engaging with the entire room, you and your guests will not be able to pull yourself from the dance floor. • Is it possible to see Sway play live? Yes! Although we do not invite potential clients to attend other couples weddings, WE DO schedule public band showcases that you can preview the band live. Please check our Sway Events page for the next showcase, or call us to schedule a video viewing. Tip: If a band does not offer a way for you to view them live, I would be very hesitant to hire them. • What different genres of music does Sway perform? Sway performs a wide variety of music. We specialize in Top-40 through the decades. We play everything from Current Top 40, Latin, Big-Band, Motown, Classic Rock, etc. For a sample of the songs we perform and the different genres, visit the SWAYLIST page. • How many members are in the band? How many vocalists? We are a scalable band from 7-15 pieces, depending on the size of the event. Our core band consists of our rhythm section (Keys, Bass, Drums & Guitar, and 3-5 vocalists. From there we add 1-4 horns and 1-3 violins. • Do you offer Wedding Ceremony music? We have some great options for Ceremony music. Whether you would like a solo piano, or a string quartet, we provide you with guidance in selecting all of the music that fits you for your wedding. • How many hours do you play? • Can I see more videos? Yes! Please visit our Facebook page for a few more videos. We also have a large selection of videos in our archive, so if you don't see what you're looking for just ask, and we might have it to share with you. • Will you learn our favorite song for our wedding? YES! Even if your favorite song is not on the SWAYLIST, there is a good chance we already know it. If we don't know it, we are happy to learn it. Just ask. • Which Chicago wedding venues have you played? Sway has played over 100 of the most popular wedding venues in Chicago and the suburbs. Here is the short list: The Drake Hotel, The Palmer House, The Knickerbocker, Hotel Interconntinental, The Langham Hotel, Chicago Hilton and Towers, Radisson Blu, The Waldorf, The Rookery, Bridgeport Arts Center, Morgan Manufacturing, Chez, Navy Pier Grand Ballroom, Salvage One, Venue One, Botanic Gardens, Cafe Brauer, Lincoln Park Zoo, Loft on Lake, House of Blues, The Ivy Room, Salvatore's, Galleria Marchetti, Park West, The Casino Club, Chicago Racquet Club, Chicago Yacht Club, The University Club of Chicago, Chicago Athletic Club, The Standard Club, Lyric Opera, Art Institute, Shedd Aquarium, Adler Planetarium, Chicago Cultural Center, Chicago History Museum ...and many more. Once you decide Sway Chicago is your entertainment of choice, we will send you a simple 1 page contract based off the initial proposal that we agreed upon. If the contract is agreeable, then typically, a downpayment of 50% is required at the time of a contract signing. • Does Sway Chicago have liability insurance? We do have limited liability insurance. If a venue needs to be named on the policy for a specific event, our insurance company will issue a COI of our policy, including who needs to be named on the certificate. Sway is a high-energy dance band specializing in high-end weddings and galas. 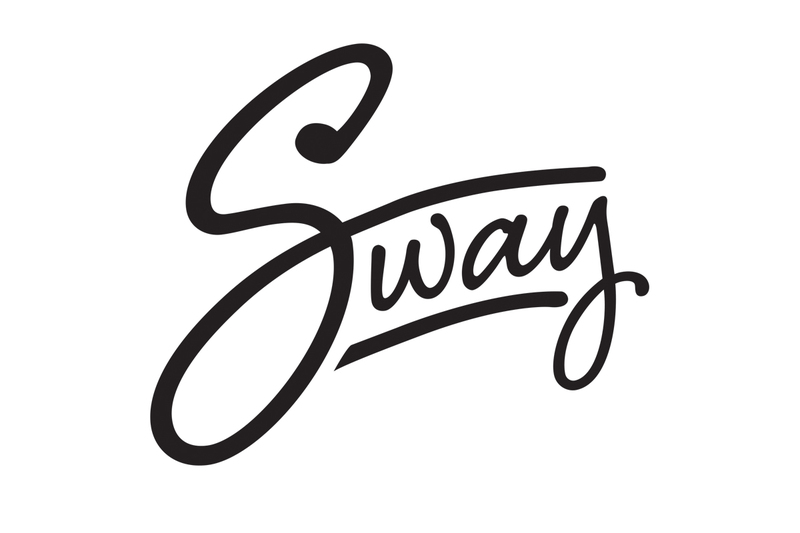 Sway is based in Chicago, and plays a variety of events throughout the country.